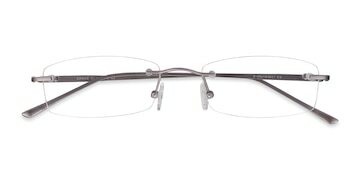 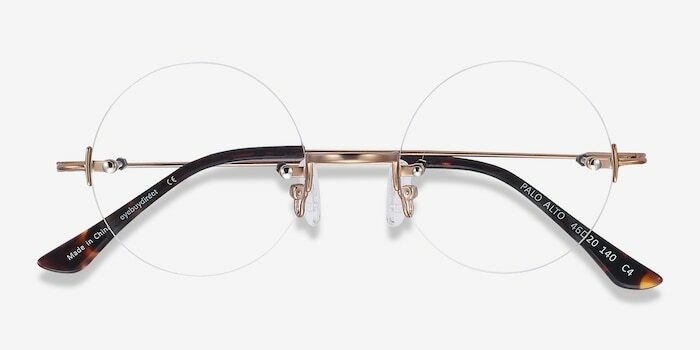 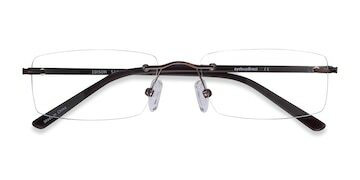 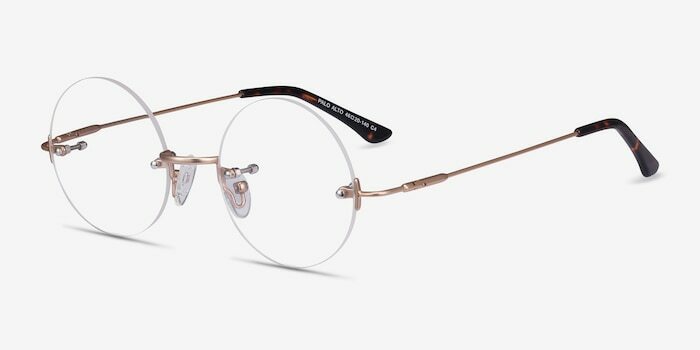 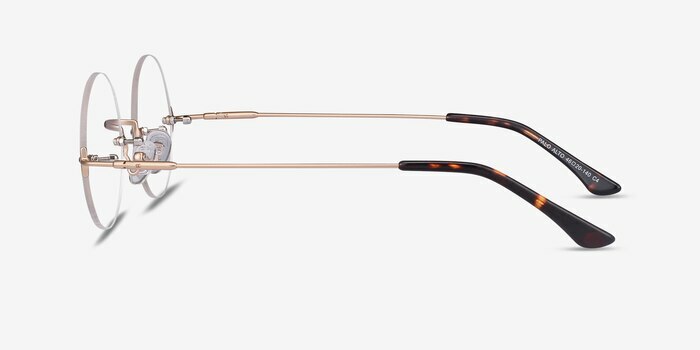 This rimless metal frame features a bronze finish and perfectly round lenses. 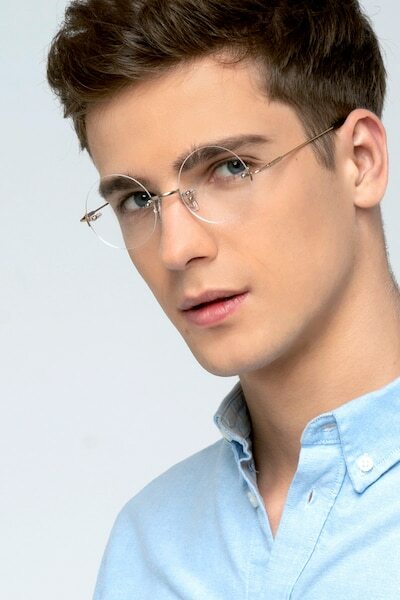 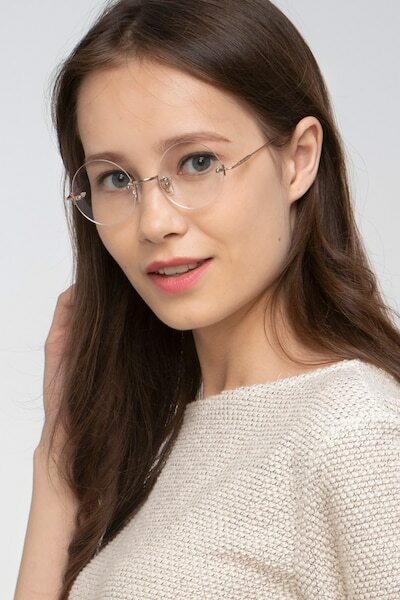 The slender metal arms are completed with tortoise arm tips and spring hinges, making this frame a simple yet fashionable choice. 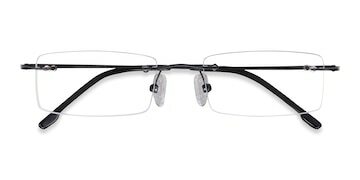 Great glasses for less than 1/4 of what I paid at Walmart last year; very well made, good quality. 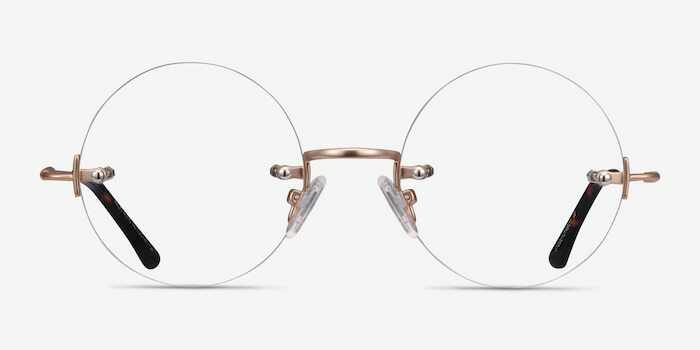 Excellent - no - OUTSTANDING customer service!